(sample bottle best before and Feb/17) Slight haze, golden-orange amber with a thin, quickly diminishing off white head and moderate lacing. Bready toasty malt, clove, candied ginger, lemongrass and white pepper. Light yeast. White pepper and clove spice. Yeasty brown bread. Low carbonation. More white pepper, clove and brown bread. Lemongrass notes emerge. 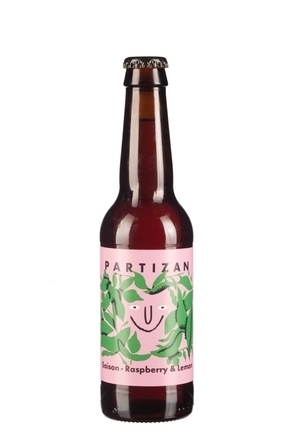 This Spring Ale is best summed up as being yeasty brown bread enlivened with white pepper and clove spice. 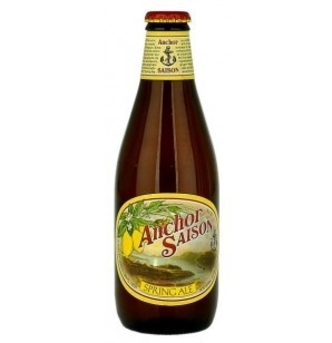 A fruity seasonal saison brewed in London’s Bermondsey. 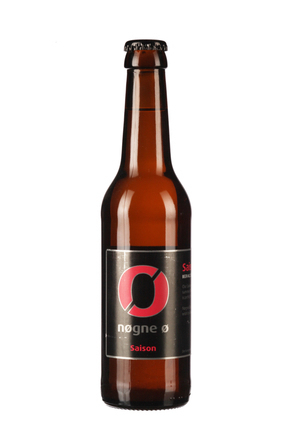 First brewed 24th November 2005, Nøgne Ø describe this Saison as being "One of our most refreshing brews, made for those hot summer days but satisfying year-round. 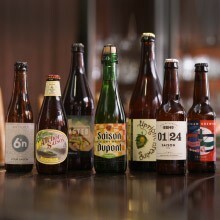 A British saison, brewed with Crystal malt. 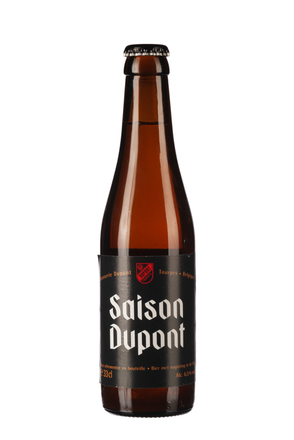 Regarded as one of the best and most authentic examples of a Belgium saison, Dupont has been brewing this ale each winter since 1844. Second fermentation in the bottle.